A team of web pros will donate their services for 24 hours in a row to create an adoption website for children in foster care. 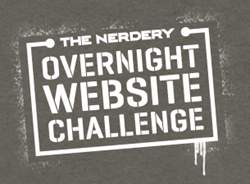 KVC Health Systems, a national child welfare and behavioral healthcare organization headquartered in Olathe, Kan., has been selected by The Nerdery as one of four nonprofits to have a team of web pros at their service for 24 hours in a row for the Overnight Website Challenge. The Nerdery, which is an interactive design and development company, began this pro bono event in 2008 in Minneapolis and Chicago. Since then, more than $4 million in professional services have been donated to 114 nonprofits. This is the first year the Overnight Website Challenge will be hosted in Kansas City, which is where The Nerdery’s newest office is located. On April 12-13, a team of web pros will volunteer their time and talent to help KVC develop a new adoption website. This new site will transform the way KVC raises awareness about U.S. children waiting to be adopted from foster care into a forever family. Adoptive families will be able to search profiles of children available for adoption, as well as create an online profile describing their family and child preferences. The child profiles will have searchable biographical data (such as age, race location, etc.) as well as personal bios about their likes, interests, wishes and dreams. Most importantly, the site will support video interviews of the kids, so families can see and hear them to get a real feel for their personality. Since 2005, KVC has matched more than 2,000 children with loving forever families. As a provider of child welfare services on behalf of multiple states, KVC specializes in finding a home for children who have been abused or neglected, and cannot return to their birth families. The Overnight Website Challenge will begin at 7:00 a.m. Saturday, April 12 and conclude at 9:00 a.m. on Sunday, April 13. The event takes place at Think Big Partners in Kansas City, MO. The web teams and nonprofits will present their work on April 30 for judgment at the Web Challenge Awards. KVC Health Systems, headquartered in the greater Kansas City area, is a private, nonprofit 501(c)3 organization committed to enriching and enhancing the lives of children and families by providing medical and behavioral healthcare, social services, and education. KVC’s diverse continuum of services includes foster care, adoption, in-home family therapy, behavioral healthcare, and children’s psychiatric hospitals. In its 44-year history, KVC has grown since from a single Kansas home for boys to a national organization serving tens of thousands of children in five states and Washington, D.C. Due to KVC’s leadership in the use of evidence-based research to achieve better outcomes and advance child welfare, the Annie E. Casey Foundation recently endorsed KVC as a best-practice organization. Learn more at http://www.kvc.org.